Minerals are essential for vitality and wellbeing, growth and healing . They help maintain the body’s acid-base balance, water balance, nerve conduction, muscle contractions, enzyme functions and also provide structural support in bones and teeth. Minerals participate in almost every metabolic process in the body. Ideally we should get all the minerals we need from a balanced diet.Unfortunately this is rarely possible in today’s world. Modern farming techniques, fertilisers and depleted soils reduce the mineral content of foods. Environmental toxins, chemical food additives and stressful lifestyles also have a detrimental effect on our nutritional status. At the same time your body also has to deal with more toxic elements (heavy metals) than ever before. 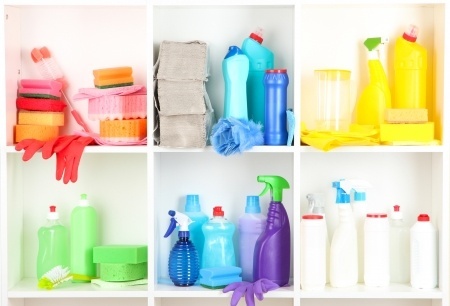 Lead, Mercury, Cadmium, Arsenic, Aluminum and many others are present in industrial chemicals, household cleaning products, personal care products, cosmetics, etc.. Toxic elements enter our bodies via inhalation, ingestion and absorption (through skin and mucous membranes). They then get stored in the soft tissues of your body, where they can effect normal function and processes if left to accumulate. This test determines whether individual mineral levels are deficient, excessive or in balance. This allows adaptation to your vitamin and mineral supplementation program to bring these minerals back in balance. Too many minerals in the body may cause symptoms as much as mineral deficiencies do. The presence of toxic elements (heavy metals) in the body need to be addressed as they too may result in many unexplained symptoms and long term health issues. Hair samples are taken and sent to the laboratory for analysis. The test kit with full instructions will be issued to you by your practitioner along with the practitioner request form. Results are returned to the practitioner to be discussed in a follow up consultation as part of your ongoing wellness journey. Adjustment will be made to your supplement routine and if required toxic element detoxification programs are designed according to your body’s individual needs. . Contact Dr Sonja to talk about how Nutrient and Toxic Element Screening can be beneficial to your health and well being. Phone 0434 726 2141 or send an email.